This is a pasture across the road from my home. 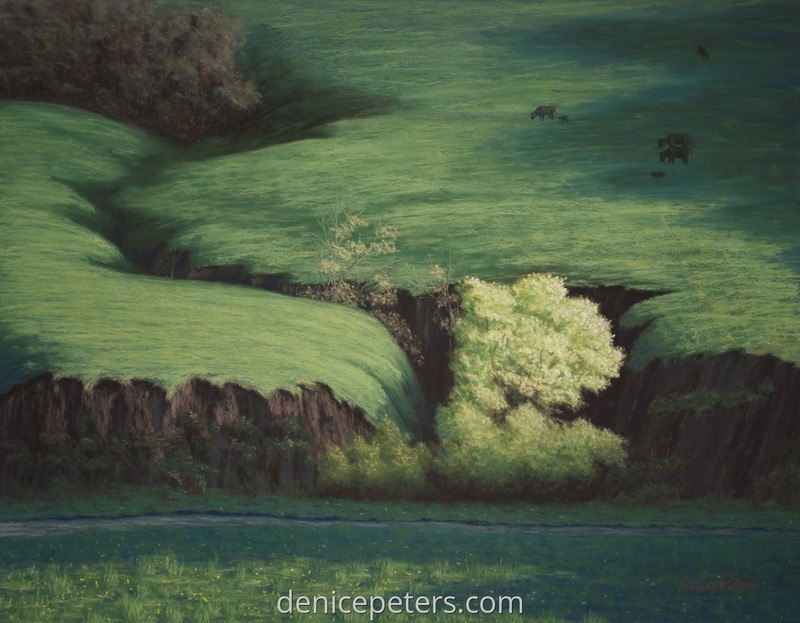 I love the late light shining across the gulleys and trees. The grass is that new green of spring and the trees are just starting to come out. To also enhance the spring theme, I put in cows and calves and by the upper left trees I have a bird with 2 young ones flying to the trees. Wildflowers were just starting to bloom also in the grass. They all play into the Spring theme. 8" x 10.25"11" x 14"14" x 18"17" x 21.75"21.5" x 27.75"